I enjoy people and their pets and understand that our pets are members of our families. Dogs have been a part of our family all our lives and with that I have gained the experience and passion to help look after your much loved pet! 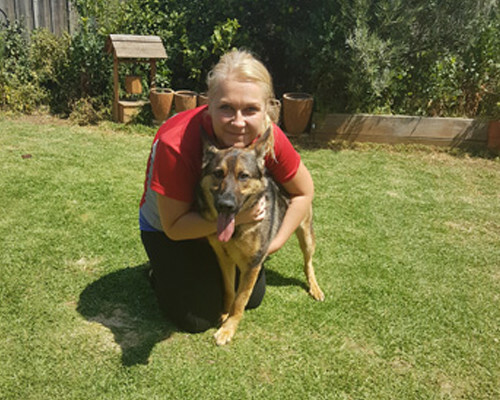 I am reliable, honest and hardworking with strong professional ethics and look forward to meeting and working you and your dog. For all of your mobile dog grooming or mobile dog wash needs call Jim’s Dog Wash today on 131 546 or request a free quote online to arrange for a Violetta to get in touch with you. We wash dog at your home or office, a place your dog knows and is comfortable in.